Single click in Bookmarks Bar or from a Folder therin is no longer working in anything newer than version 1.12.955.48 (stable). It still works in the panel, but it used to work equally well in Bookmarks Manager. I terrible miss it. I can't figure it out if it's a bug or it's intentionally no longer available. But the Setting in page says Open Bookmark Panel with single click. Is not not designed to open from Bookmarks manager or bookmarks bar. @gwen-dragon Thanks for the reply. Still single click always worked prior to version 1.13. Bookmarks panel doesn't make any sense. You're unable to open a page in new tab so that you leave the bookmarks open for future use. One click from the panel to display the page in a separate frame of the same panel is not exactly satisfactory. Not enough space unless you're on a 30 inch monitor. @maxo333 It is a regression. 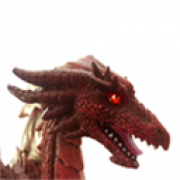 Filed it: VB-36289 "Open bookmark with single click fails in Bookmarks manager"
@gwen-dragon Thanks. I appreciate it.